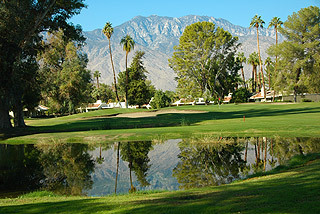 Cathedral Canyon has been undergoing renovations during the past 2 years. The photos in the review below were taken in late November 2018 and reflect the dramatic improvement in conditioning! 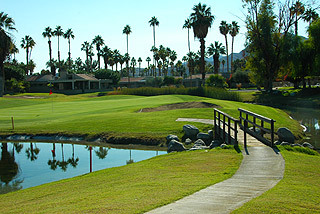 Cathedral Canyon in Cathedral City is a David Rainville 18-hole design featuring 2 distinctive nine-hole layouts. 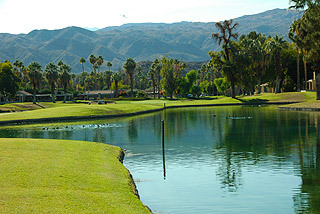 Laced against the backdrop of the San Jacinto Mountains, the course provides tree lined fairways, strategically placed bunkers and over 16 lakes and ponds. On property is a fully stocked pro shop, restaurant/lounge with full menus in season, and banquet/outing facilities with golf course views that can accommodate up to 180 guests. 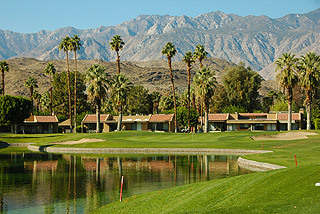 Kendall Palu, PGA, General Manager of Cathedral Canyon Golf Club, was the 2017 Desert Chapter Professional of the Year. 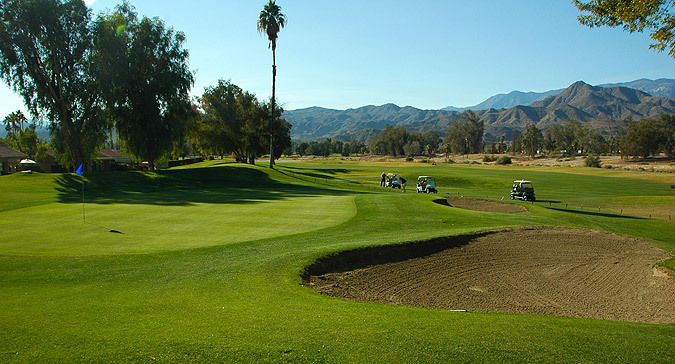 Steven Creps is a Class "A" PGA instructor who offers a variety of lessons and instructional programs in the Cathedral Canyon Golf School, and Ping club-fitting is available on property, which also includes a grass range, putting green and short game area with sand bunker. 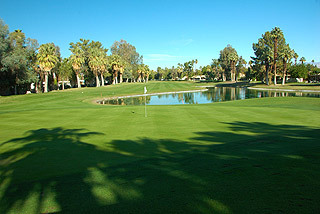 Four sets of tees measure distances of 6,505 yards with a shope of 130/rating 71.1; 6,172 yards with a slope/rating of 129/69.5; 5,441 yards (124/66.0), and 5,423 yards with a slope/rating of 127/71.6. 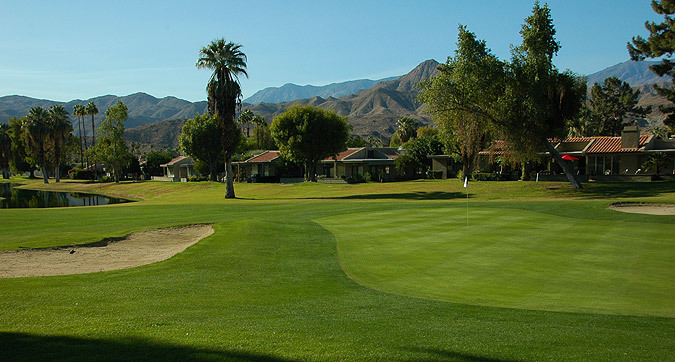 The course is marked with150 yard stakes visible on the fairways, and color coded flags indicate front, middle and back hole locations on the mildly sloping putting surfaces. 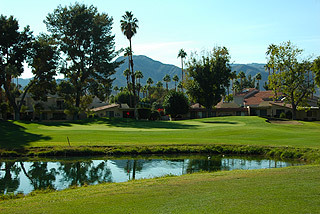 The Lake nine is fairly level and presents plentiful water hazards as it meanders through a residential community, while the mountain nine is a bit more up and down and presents great mountain vistas as it too plays through a residential development. 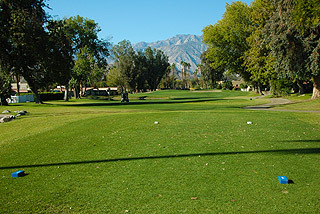 Both courses offer spectacular views of the San Jacinto Mountains. 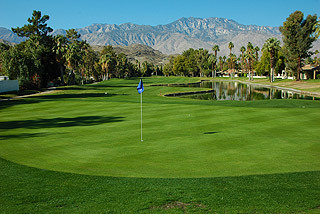 Cathedral Canyon is open for public play, and with rates topping out at under $100 including cart prime time, is one of the more outstanding golfing values in the Palm Springs area. For more info, visit our page for the course, with direct link to their website by clicking here.